I’m usually firmly planted on the side of earning more over spending less. This is as I tend to find it easier to work a little more instead of cutting things from my budget. But I’m finding that the more I’m around frugal people and the more I read about frugal tendencies, the easier it is for me to save more money. If you’re not sure you can jump on the frugal bandwagon, here are a few little ways you can start to save more money every month. Trust me, it’s easier than it sounds! I know, I know. This is almost always the first suggestion you read on people’s blogs about saving money. But I’m not just talking about your TV subscription. Although you should consider cutting the cord and getting something cheaper like Netflix or another alternative to cable like the Amazon Fire TV Stick, you can also save money by cutting other things you may be subscribed too like magazines, satellite radio and things you may not even remember! Double check your credit card statements to see if you are subscribed to anything that gets charged to your account automatically. Chances are there’s at least one thing you’ve forgotten to cancel in the past. One area I really make an effort to save money in all the time is groceries. Overspending at the grocery store is easy because everything at the grocery store seems like a necessity. While you do need to eat and grocery shopping is a lot cheaper than eating out, you can likely still save money on your monthly grocery bill. One way to do this is by regularly going through your freezer and pantry and making a meal plan based off of ingredients you find hidden in there. The last time I did this, I was able to eat for almost two weeks using foods I found in my pantry and freezer. I only had to supplement with some fresh fruits and vegetables. This tip won’t work every single month, but you can use it to save money on a regular basis and to avoid having to throw out food that’s past its expiration date. My cell phone contract was up a few months ago and when I went to get a new phone and plan I realized that I had been paying for a lot of features I didn’t really need. I had a massive data plan and yet I was only using less than 10 percent of it every month because my phone is almost always on wi-fi (it’s a perk of working from home). Lowering my data package is saving me $40 permonth. If coverage is available in your area, you might also be able to switch to a new carrier, like Republic Wireless and get plans as low as $10 per month. Minimalism is a simple concept. The less you buy the more money, and time, you save. I love the concept of minimalism, but the implementation of it can be a little more tricky. Even though I will never be a true minimalist, I have taken to decluttering my house on a regular basis. This helps me “earn” money when I sell things I no longer need and it also helps me save money by reminding me that I’ve got more than enough stuff. This is a pretty good deterrant to buying more stuff next time I go shopping. You don’t have to embrace total minimalism or declutter your whole house in order to save money with this strategy. Instead, you just have to remind yourself that you don’t need more stuff by asking yourself “Do I really need this?” next time you go shopping. 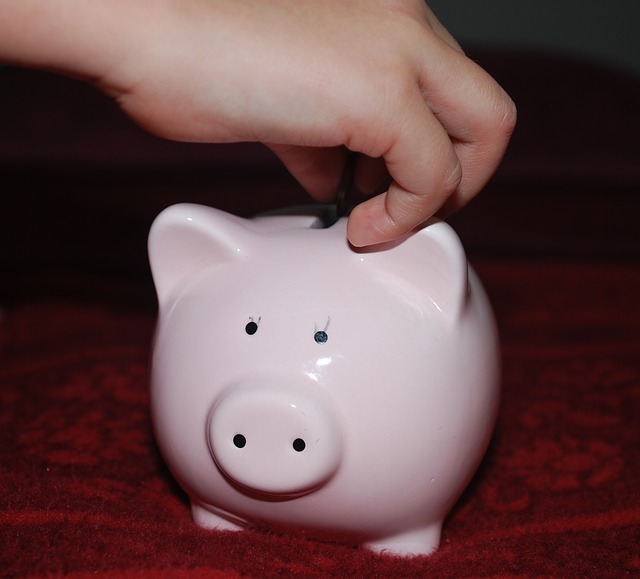 Have you implemented any of these strategies to help you save more money? How else can you save money every month?